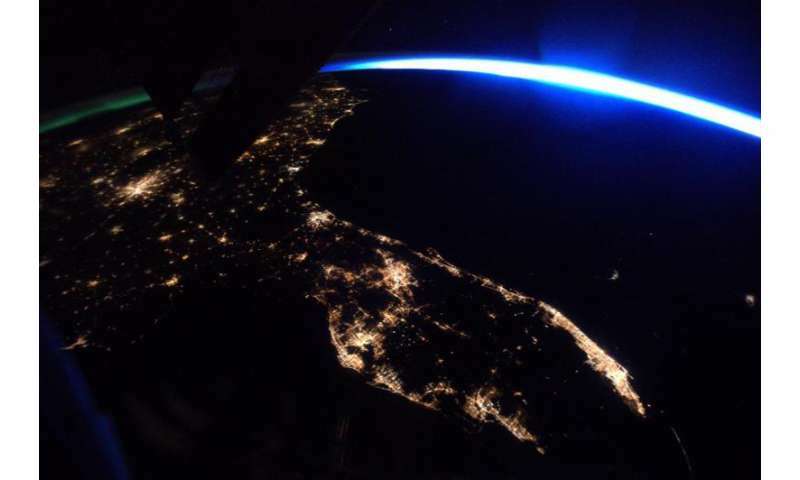 This nighttime photo of Florida was taken from the International Space Station by Expedition 51 Flight Engineer Thomas Pesquet of the European Space Agency, in March 2017. Bright lights of cities stand out, including the Miami-Fort Lauderdale metropolitan area, the Tampa Bay region along the Gulf Coast, and in the middle, Orlando. Visible on Florida's Atlantic coast is the Cape Canaveral area where, currently, launch preparations are underway at NASA's Kennedy Space Center for the eleventh SpaceX cargo resupply mission to the International Space Station, targeted for liftoff at 5:55 p.m. EDT on Thursday, June 1, from Launch Complex 39A.